Occurrence, Sunset and Manifestation: What’s the difference? Contractor General Liability is a must-have for any type of contractor that works on residential, business or commercial projects. Not only does the state require it to hold a license, but it is also reckless to work on someone else’s property without the right protection. While per occurrence is the most common general liability form, sunset provisions or manifestation provisions have become more common. What do these terms mean and which option is best for my business? A leak in the roof installed by a contractor begins in year 1 and was discovered during that same year. It also continues during year 2. All three types of policies (occurrence, sunset and manifestation) effective during year 1 would provide coverage for year I because the damage occurred and was discovered during the policy term. An “occurrence” policy effective during year 1 may also cover the damages that happen during year 2, 5, etc. The longer that period, the higher the premium. 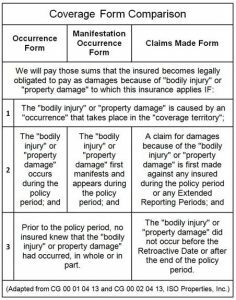 A “manifestation” policy will only cover damages if they “manifest” (become evident) within the policy period. So if policy A was effective from 12/1/2016 and expired on 12/1/2017 and there was a leak in the roof on 12/2/2017, the contractor would have no coverage unless the same policy was renewed. To limit their exposure to a single policy period, because injury or damage can manifest at only one point in time. To limit an insurance company’s exposure to an unpredictable and lengthy “tail” of lawsuits filed, sometimes many, years after the risk they agreed to protect against. So why would any contractor choose anything but an “occurrence” form policy? One simple answer: Price. Compared to occurrence form policies, sunset and manifestation policies can be up to 50% less expensive, depending on insurance company, contractor type, exposure and other factors. Here at DOK Insurance Agency, we caution contractors to carefully think about choosing the latter 2 options. 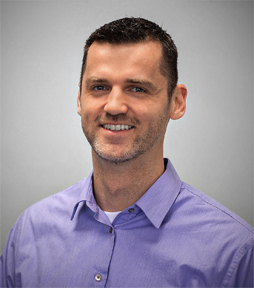 In some cases, however, where the risk of later property damage or injury is very low, it might be a considerable option especially for smaller contractors. For example, a lawn-care, flooring or painter contractor may not much concern that their work will cause harm down the road. One important distinction is that all three will not automatically include faulty workmanship. So if a contractor makes a mistake while performing his or her work, without such endorsement, there usually wouldn’t be coverage to the work performed. For example, if a plumber breaks a pipe that is being worked on, all policies should pay for the water damage caused by the leaking water. Or if the pipe later breaks and has to be replaced because of the plumber’s wrongdoing, the damage to the pipe wouldn’t be covered. Only faulty workmanship covers damage to the portion of the building being worked on. While a pipe may not be a big deal (cost-wise) to replace, but other cases can be much costlier. Imagine you were hired to replace windows in a high-rise and it later turns out that the windows weren’t sealed correctly, causing damage to the building and requiring all windows to be reinstalled. Without faulty workmanship (or sometimes listed as professional liability) coverage would most likely be denied. Contractor liability policies can oftentimes be very long and hence confusing. Please do not hesitate to call us at 425-242-5252 to find out how you can better protect your business.